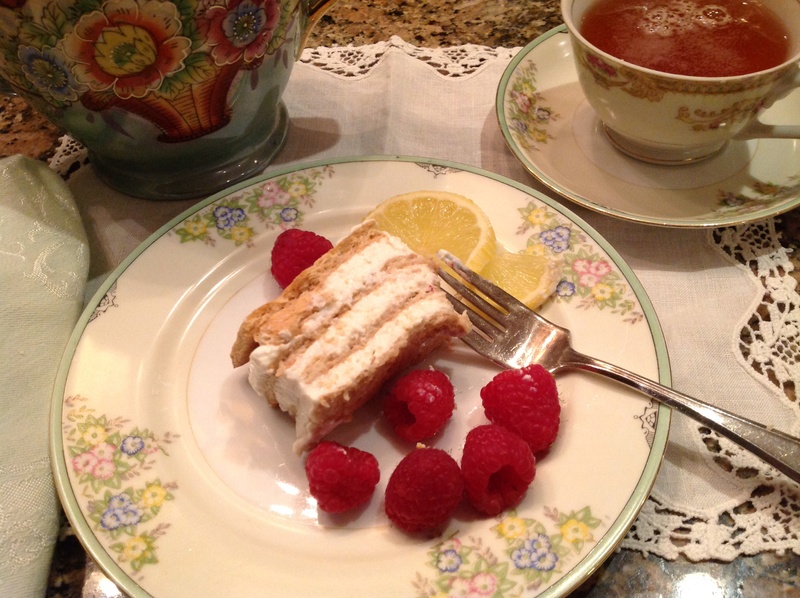 Easy, quick and low-calorie weeknight dessert. At 115 calories a slice and with all the nutritious value of Greek yogurt, enjoy guilt-free. 2- Combine yogurt, maple syrup, lemon zest, vanilla and sweetener to blend. 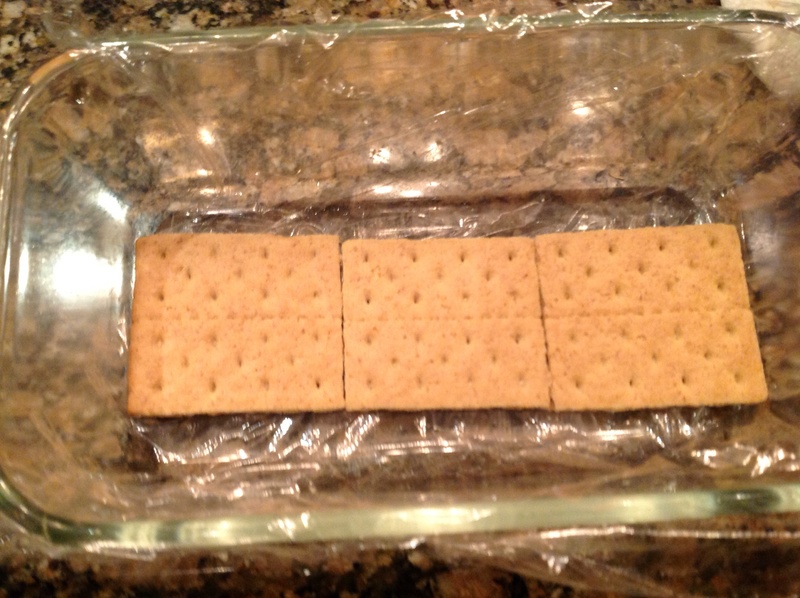 3- Place 3 cracker halves in the bottom of the pan. 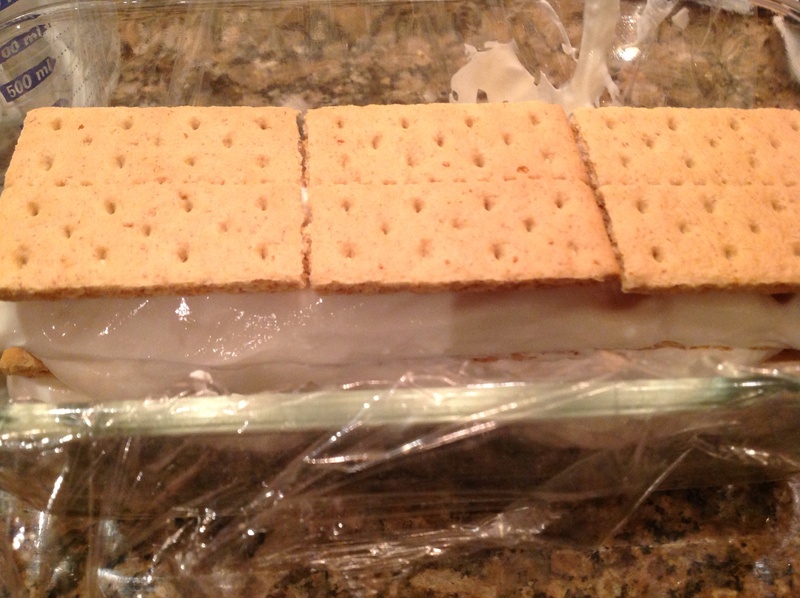 Spread 1/3 of the mixture over the crackers. Repeat twice. 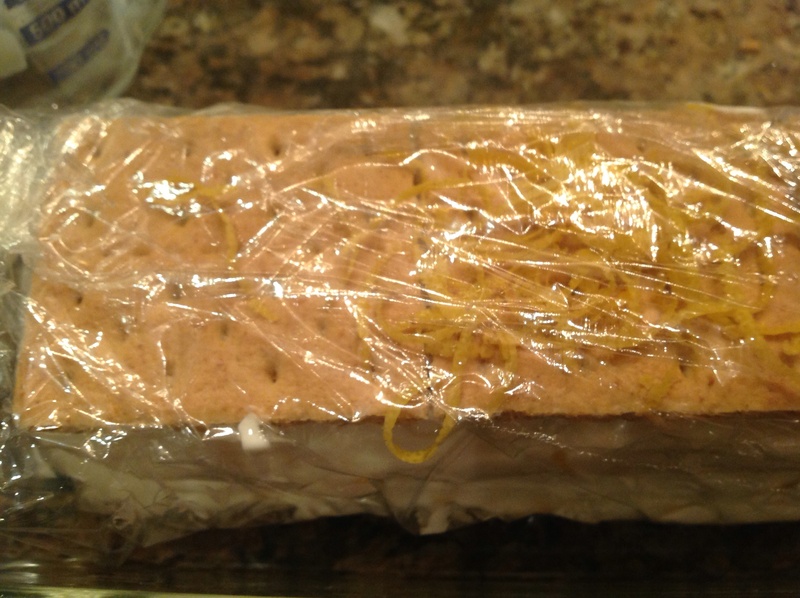 4- Using the plastic overhangs, wrap the cake. Refrigerate at least 2 hrs. Using the plastic, lift the cake out of the pan. Cut 6 slices and top with more lemon zest. 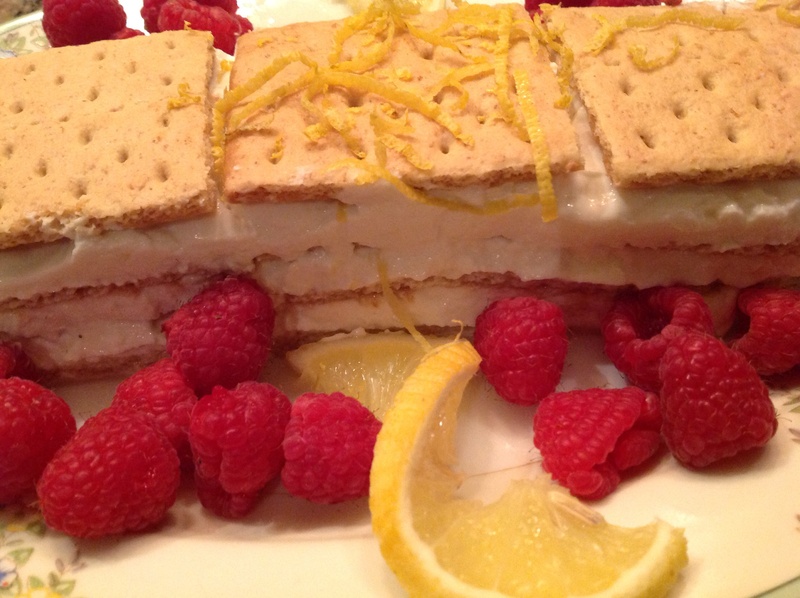 Serve with raspberries. I found this had to be eaten right away as it got soggy if it sat too long. It was tangy and delicious. 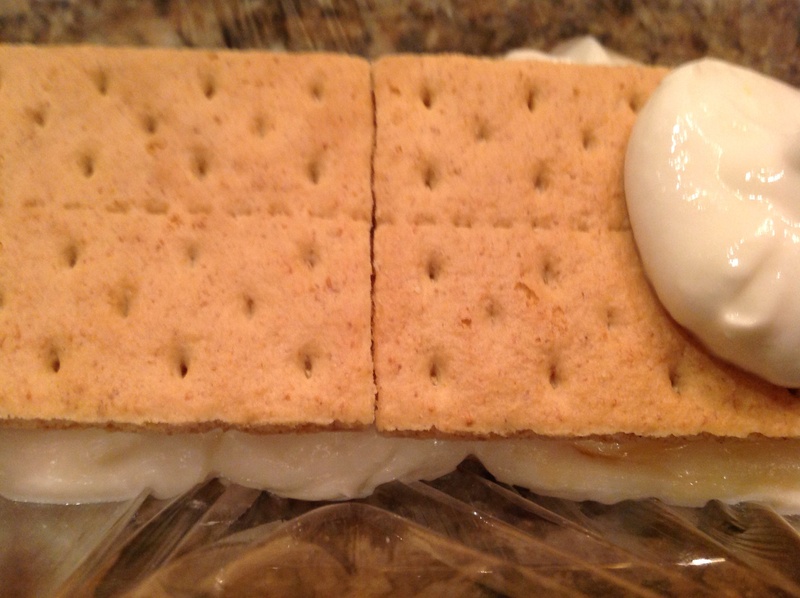 This entry was posted in Recipes and tagged graham crackers, lemon zest, maple syrup, Yogurt by Johanne Lamarche. Bookmark the permalink. mm….delicious, not too sinful and beautiful! Hurrah! At last I got a website from where I be able to in fact get helpful facts regarding my study and knowledge.